The Postal Customer Council (PCC) program began more than 30 years ago with the formation of local mail user councils. The Post Office Department organized the councils to improve communication between postal customers and local postal managers. The councils’ rallying call was a “Mail Entry” campaign, designed to regulate the flow of local mail. Postal volume in 1961 was characterized by large swells after 5 p.m., when most of the business mail was deposited. This evening rush was getting larger and straining processing capacity. 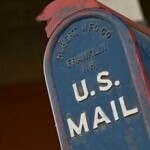 The concept of working with customers to get mail earlier in the day was realized through the Mail Early campaign and the creation of mail user councils, also known as “Citizens Advisory Councils.” The name “Mail Users Councils” lasted for nearly a decade until it was changed in 1971 to “Postal Customer Council”. Once postal customers and local postal managers began working together under the council framework, both groups found that many problems could be resolved easily. Processing and delivery improved, and postal resources and equipment were used more productively. The importance of postal customer councils has grown since the early 1970s. Today, more than 300 councils with some 300,000 members are active across the nation. Through regular meetings, mailer clinics, and seminars, PCC members are kept abreast of the latest postal developments and work closely with local post offices to make mail services more efficient. The Postal Service stands behind the PCC program, an important avenue for improving service and understanding mailers’ needs. The Postal Service supplies speakers and resources for PCC presentations and, because we share the members’ interest in efficient and economical mail service, we encourage business mailers to take part in PCCs whenever they can.